Addressing the 'skills gap' for business and industry remains one of the challenges. Such momentum creates a wealth of opportunities, as well as challenges: like a skills gap for business and industry in search of a trained, educated and diverse workforce to fill open positions at their companies and organizations. Their need presents a "sweet spot" for Oregon's community colleges, partly because of the diversity of our students and also because of our expertise with Career Technical Education, or CTE, and our ability to produce that talent — if we have the funding and employer partnerships necessary. CTE is a proven method to maintain economic success by meeting workforce needs and giving students the skills required to succeed professionally. It's also the focus of research — specifically, by Georgetown University, which took a look at CTE in Oregon (Georgetown University Center on Education and the Workforce, Certificates in Oregon: A Model for Workers to Jump-Start or Reboot Careers, 2018). Short-term certificate programs are suited to adult students, particularly if they result in "stackable" credentials - meaning that credits earned at one level apply to the next level of training. The average Portland Community College student is 28 years old and works while attending school. Certificate programs are well suited to their busy lives and also reflect the increasing pace of "upskilling" needed in the workplace given rapid technological change occurring in today's jobs. In my work at PCC, I talk with or meet employers daily, from a variety of high growth CTE fields — welding, health information management, software development, manufacturing and industrial technology, to name a few — who are desperate for educated, skilled workers. Their companies boast middle skill jobs that pay well, offer potential for career advancement, and are automation- and recession-resistant. Oregon's 17 community colleges are united in tackling this dilemma. Together, we've submitted a state-funding proposal that, if backed, will significantly increase the number of skilled graduates from CTE programs across the state, ready to enter high wage occupations. In essence, the skills gap Oregon is experiencing will be bridged; business and industry will have access to the educated labor they need — locally. An added benefit is that such support will simultaneously increase completion rates among first-generation, low-income, highly diverse cohorts of students — leading to an increase in the diversity of the workforce. Our community is at a critical point — and one that inspires us to meet workforce needs by bridging the skills gap, and to offer students access to greater opportunity. By way of increased state funding and industry partnerships, CTE can successfully address such challenges head-on. 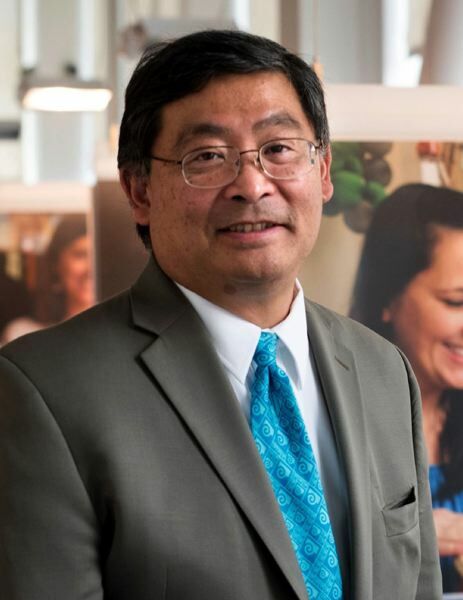 Mark Mitsui is president of Portland Community College. This column appeared in The Times newspaper in October.